The Whitsunday Apartments are conveniently situated on the resort side of Hamilton Island close to all of the facilities and holiday activities that the island provides guests with. The property is right next to the beautiful Catseye Beach were holiday makers can relax and soak up the tropical Whitsunday sun, as well as enjoy other beach sports and water based activities. By staying at the Whitsunday Apartments you will also receive complimentary island transfers upon arrival and departure from the Hamilton Island. The Whitsunday Apartments on Hamilton Island has a range of well appointed apartments that have very generous living areas, ensuring that you comfort is always maintained. All of the apartments can sleep up to 5 people and feature modern bathrooms, full size kitchens for self catering and a host of other furnishings and facilities. Holiday makers who choose the Whitsunday Apartments can make the most of the WIFI internet access that is available in the guest lounge, the landscaped outdoor swimming pool and outdoor spa area that is conveniently shaded by tropical palm trees. You will also get unlimited use of the island shuttle bus and of course all the comfort and convenience of your own self contained apartment on Hamilton Island. 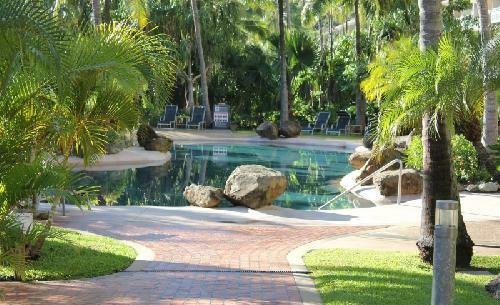 Hamilton Island has a myriad of activities to choose from catering for all ages.